Just after the I-39 interchange as US 51 joins the freeway, we’ll approach I-74 west. 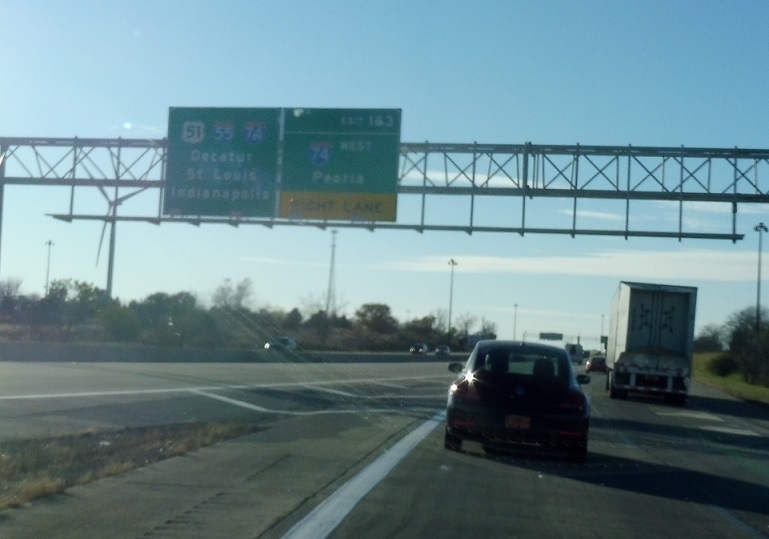 Exit for 74 west towards Peoria. 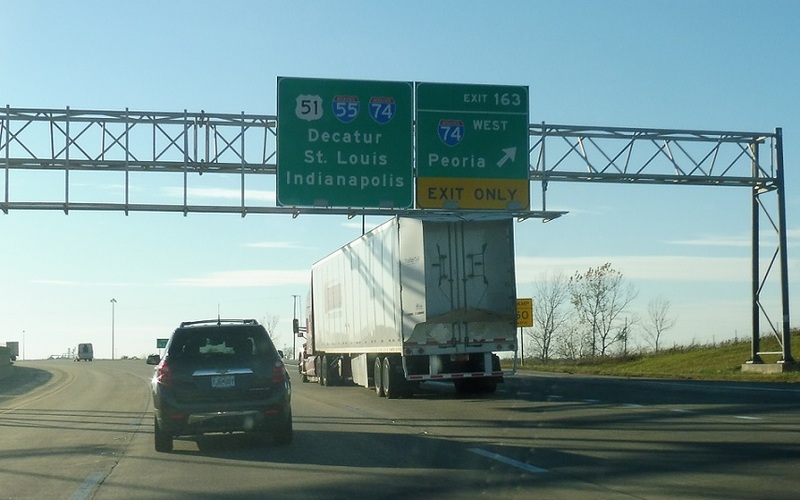 74 east joins I-55 and US 51 south.